Christmas is coming, and with Square Enix you can start celebrating it from now! The company announced fantastic sale, that brings tempting discounts on the most popular company's games. 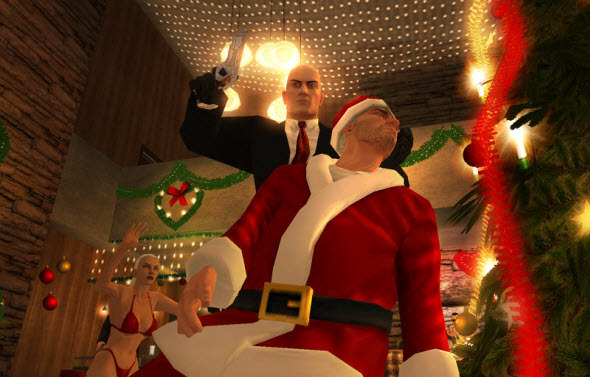 For example from the 12th of December till the 2nd of January you can download Hitman: Absolution for only $40 or buy Sleeping Dogs game at half price! Also there is an interesting offer to download Dungeon Siege 3 with 50% discount or get the cult Final Fantasy for Xbox or PC, that costs only $5. Hurry up! There are more discounts in the official store. If you want to be the first to know about discounts, free-to-play games or hot gaming news, subscribe to our pages on Facebook, Twitter and YouTube.